Celebrate National Parents’ Day With Us July 23rd – Design Your Lifestyle. July 23rd is National Parents’ Day, and that’s starting to mean more and more in our office as the years go by. 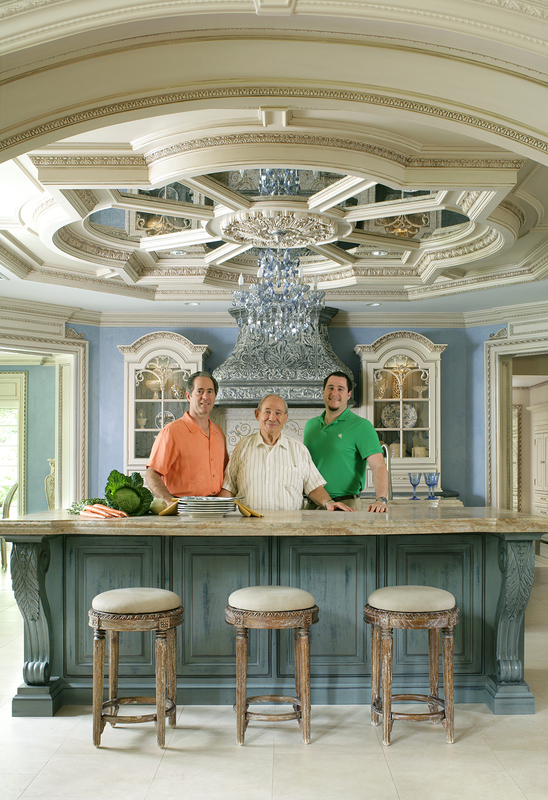 After all, there are now FOUR generations of Salernos involved in the life of our parent company, Peter Salerno Inc. – the most award-winning North American kitchen and bath design firm of this century. It all started with the “Maestro” himself, Rosolino Salerno (Peter’s father). Rosolino worked tirelessly to become a master cabinetmaker and craftsman in Sicily before coming to the United States to start his family. Rosolino’s son Peter grew up in his father’s workshop and soon developed a love for woodwork, fine craftsmanship and world-class design. After Peter Salerno’s tour of duty as an ensign in the United States Navy, he came home to begin a design career of his own – and did he ever. Since 2002, no custom kitchen and bath design firm has been more awarded or lauded than Peter Salerno Inc. Peter and his wife Tracy have created a legacy of kitchen and bath design that has made Peter’s father proud. All the while, Rosolino has kept a watchful, expert eye over his son’s business, and his knowledge and expertise has been invaluable to Peter’s business. 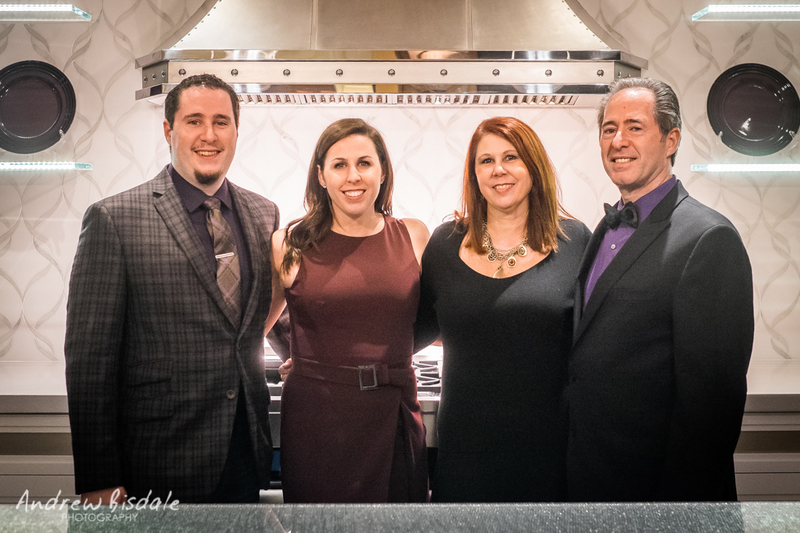 To the delight of Peter and the Peter Salerno Inc. family, both of his children (Anthony and Gabrielle) became part of the family business, as a third generation of Salernos entered the custom kitchen and bath design industry. Gabrielle has become an invaluable part of the daily business at Peter Salerno Inc., managing clients, orders, and presenting a warm, friendly face to everyone who enters their showroom. Anthony has become a craftsman and knife designer (EDGES custom cutlery), and was recently named to the prestigious NKBA 25 Under 25 list. 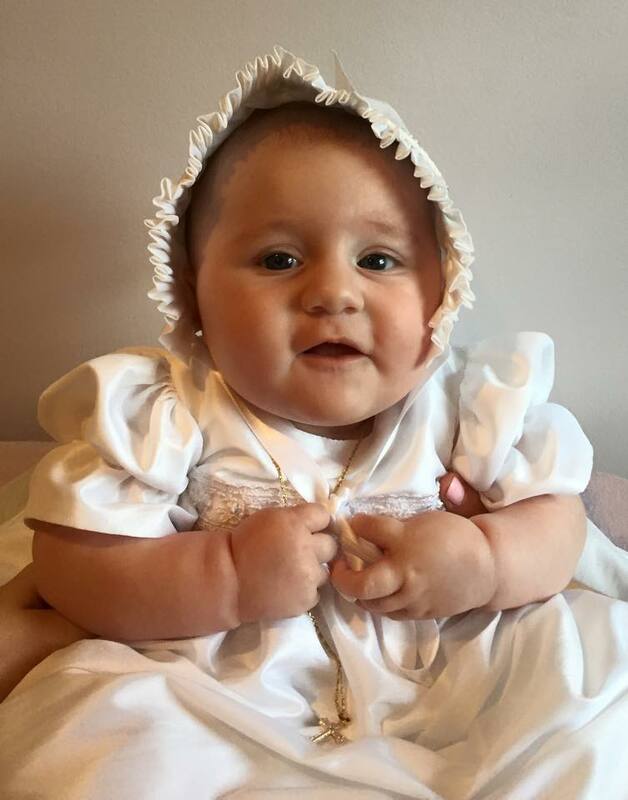 Jesse Caren Salerno christening, photos courtesy of Peter Salerno Inc., 2016. In a continuation of family blessings, both Anthony and Gabrielle have welcomed baby girls into the family! Anthony and his wife Eve brought Jesse Caren Salerno into the world, and Jesse was soon followed by Brielle Nova Mayer, daughter of Gabrielle and her husband Brian Mayer. Professional success is wonderful, but nothing will ever be more important than the bonds, traditions and love of family. Peter Salerno is overjoyed to be surrounded by family in both his personal and professional lives, and takes special pride in this year’s Parents’ Day – as it is an opportunity to celebrate his parents, his children, his wife, and his two grandchildren. 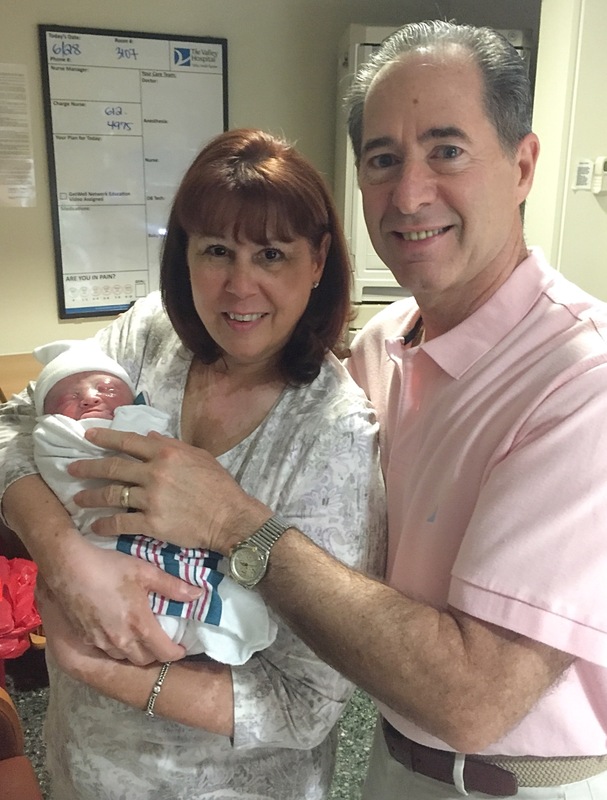 Tracy and Peter Salerno welcome their 2nd granddaughter Brielle! To you and your family from ours, please enjoy a safe and fulfilling Parents’ Day 2017!